When I’m at the airport I always wanna visit the Victoria’s secret store. But at the airport you don’t have that much of a choose. The most of the time I find a little selection and then mainly from there beauty products. But I never bought something before in VS because there didn’t have the scent I want or it was a little out of my budget…. But when I was in the store ‘kruidvat’ I saw VS body creams for only €6,99! They had the body creams in three different smells namely; exotic, romantic and dream. But normally they also have a fourth smell; kiss. As I said before I never tried a product from VS before… But €6,99 looks like a great deal so I bought the exotic and romantic version. I really love the happy and lovely packing from these! They work with a click system. This is ok to work with. But every time when I close it there is always some body cream that comes onto the pod. That is something that I don’t like. But all with all is this system for sure ok. They describe the exotic scent as iris and warm sea salt. This is indeed a very exotic scent, it directly did me thinking about a tropical beach. It’s a fresh smell with a little sweetness in. It’s hard to describe but you indeed smells the sea salt! I really love this scent! It’s the perfect one to help you with your winter dip and dream away from your summer that is coming! In opposite to exotic is this a sweeter, playful and sultry smell! It is described as a pink petals with musk. This is a flowery musk smell, very good and perfect for each season! The smell is not to heavy it’s just the perfect sweet scent! How good are these body creams? Till my big surprise are these body creams so good! They absorb very quickly into the skin with the result a moisturize and soft skin! The smell from the body creams evaporates during the day. The smell is subtle present. And your skin is so soft after using this body cream. These body creams are just amazing! They give my skin the perfect hydration that I need this winter! But also for the summer are these just perfect! I only can recommend them it are just fantastic body creams. So if you are still looking for a nice gift for someone or just for yourself? 😉 Than be sure to bring a visited to the kruivdat. 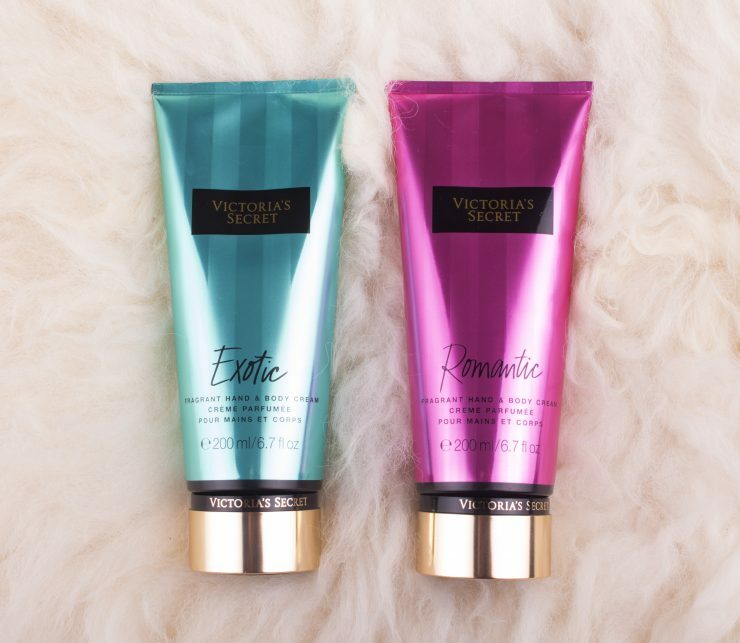 There you can find these Victoria’s secret body creams 200ml in four scents; dream, exotic, kiss and romantic for only €6,99! I think that these VS body creams normally cost something around €15. So that for sure an amazing deal! Dat klik systeem vind ik ideaal! Ik ken het principe en het werkt heel fijn. De geuren lijken mij ook heerlijk, warm zeezout… Van mij mag de zomer snel weer komen! Ja klopt opzich werkt dit enorm fijn & die warm zeezout geur ruikt echt heerlijk! Oh goeie tip, is niet duur! Ben erg benieuwd naar de geuren. Die zien er mooi uit. Verpakkingen passen uitstekend bij Kerstmis! o wauw ik vind ze fantastisch, ik kom zo vaak bij het kruidvat en mis dit dus altijd, toch eens beter kijken, want dit is echt gaaf. Super verpakking! Hopelijk vind je ze want ze zijn echt zeer fijn! Lijken me erg lekker. Lang geleden heb ik een body mist van victoria secret gehad. Deze rook zo lekker, maar helaas zat hij nog in mijn tas toen ik het vliegtuig in wilden dus werd deze weg gegooid. Ik twijfel of ik m opnieuw ga kopen omdat het een vrij zomerse geur was. Deze bodycreams lijken me erg fijn. Ooh, neen dat is wel zonde! Maar ik weet dat ze soms ook body mist in het kruidvat verkopen! Ze zien er luxe uit en de geuren klinken ook erg lekker. Dat klinkt goed zeg! Vooral die Romantic versie. Die exotische geur spreekt me minder aan. Fijne tip, snel eens kijken! Ohh wist ik nog niet! Ziet er goed uit en ik zou ze best willen proberen!